Musical instruments can be extremely valuable, both monetarily and sentimentally. If you have to store your musical instrument, it is important to do so with care to avoid any damage coming to the instrument. Follow these tips for safe musical instrument storage! Follow Manufacturer Approved Instructions: If the manufacturer specified any care or storage instructions, be sure to follow them. It is important to understand that all instruments require a different kind and level of care. Break Instruments Apart: Any instrument that can be broken down should be broken down. This will help to reduce pressure on the joints of the instrument and prevent it from cracking or breaking. Clean and Condition the Instrument: Before storing your musical instrument, make sure it is clean and ready to be stored. Take advantage of the musical instrument being broken down and clean all of the joints and parts that you aren’t normally attainable. 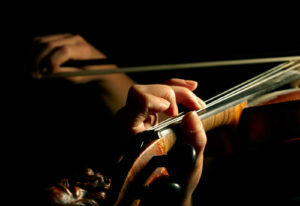 To avoid scratching the instrument, only use a cloth that is intended to clean musical instruments. Be cautious to never use oil or rubbing alcohol on wooden instruments because it can damage the instrument. If you’re storing a guitar, violin or other stringed instrument, be sure to release the tension in the strings to prevent the instrument from cracking during storage. It is not necessary to adjust the strings in a piano, but after carefully cleaning it, be sure to apply a polish. Store Instrument in Original Case: No matter what kind of instrument it is, make sure to store it in its original case. This will be the best way to prevent your instrument from becoming damaged. Be Cautious of Where You Store Your Instrument: It is important to store your instrument in a location free from moisture and fluctuations in temperature or humidity. An instrument that is exposed to fluctuations in temperature and humidity can crack or the finish can peel. Check on Your Instrument: If you are storing your instrument long term, make sure you check on it periodically. This will help to mitigate the chances of damage occurring to your instrument. Are You Looking for a Location to Store Your Musical Instrument? A climate controlled storage unit is an ideal location for the storage of a musical instrument. Not only will storing your instrument in a climate controlled storage facility unit keep your instrument away from the dangers in fluctuation and humidity, it will also keep your instrument in a secure and out of the way location. Are you interested in learning more about a storage unit rental at one of our storage facilities? Contact us today!